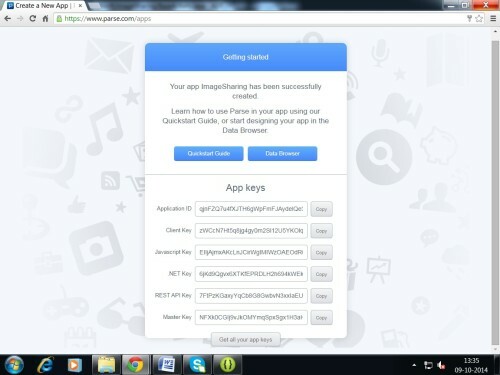 Before you start to generate Parse APP_KEY and CLIENT_KEY did you know what is Parse? 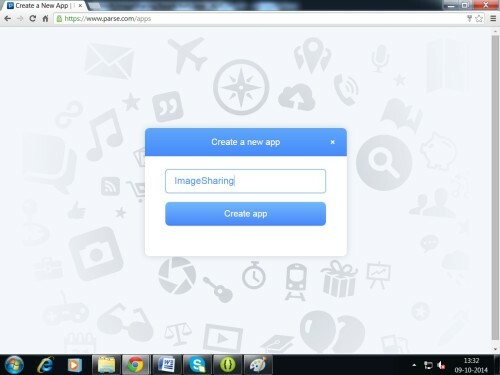 Ok take a overview of Parse than we will start. 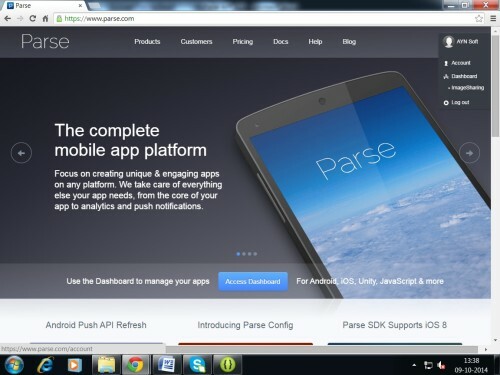 Parse.com provides a backend service to developers. 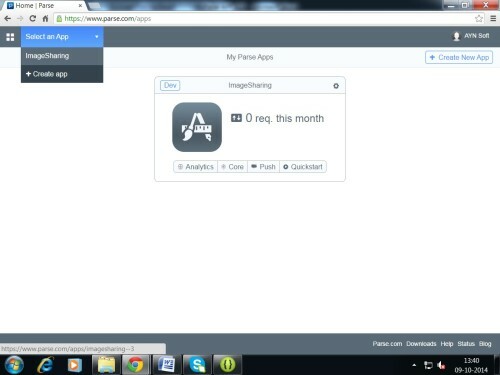 If your mobile or desktop app requires a backend on the internet, then Parse is one of the options you can choose. 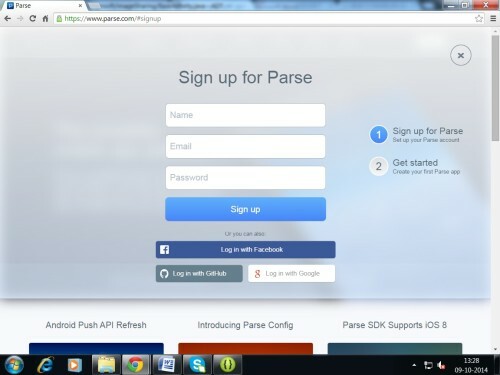 Step1: SignUp in to Parse.com, here is a link for signup into parse https://www.parse.com/#signup. 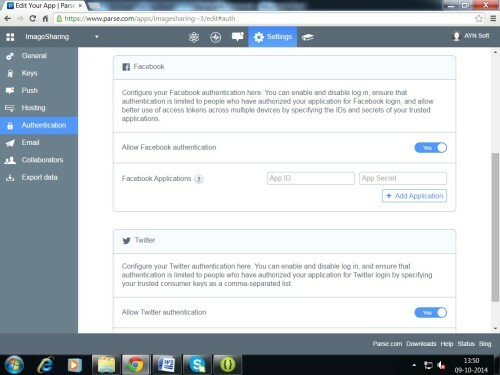 Step3: After creating app you will get you Application Key. 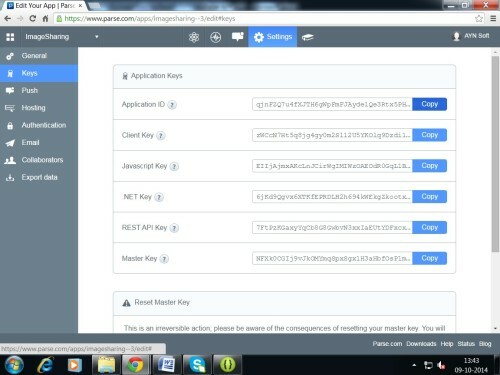 Step5: Here you can get your Application Key and Client Key.